is done in accordance certificated with ISO-9001:2008, ISO-14001:2004 and OHSAS-18001:2007 which means that our policy is aimed meet customers requirements as much as possible, without losing sight of aspects like security, health and environment. 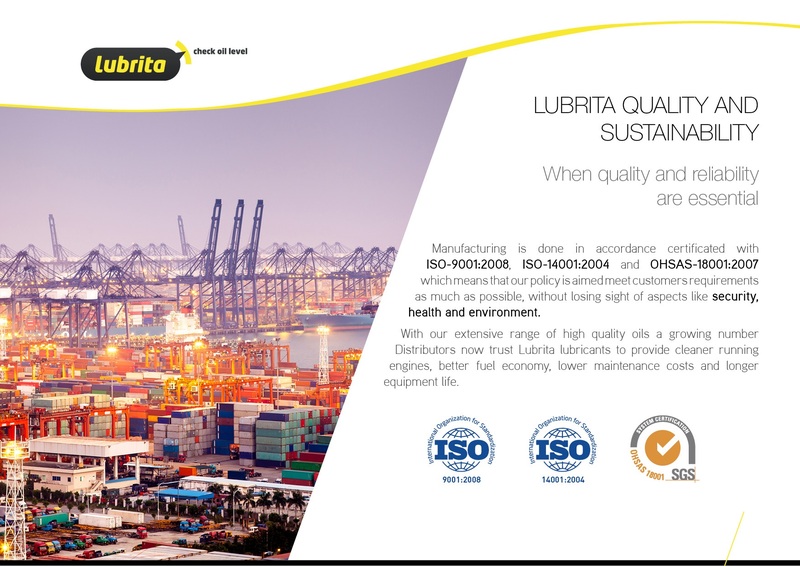 With our extensive range of high quality oils a growing number of Distributors now trust Lubrita lubricants to provide cleaner running engines, better fuel economy, lower maintenance costs and longer equipment life. We continuously growing together with LUBRITA Distributors worldwide!